I was dinking around the northern coast of Kun-Lai the other day when I ran into this guy. 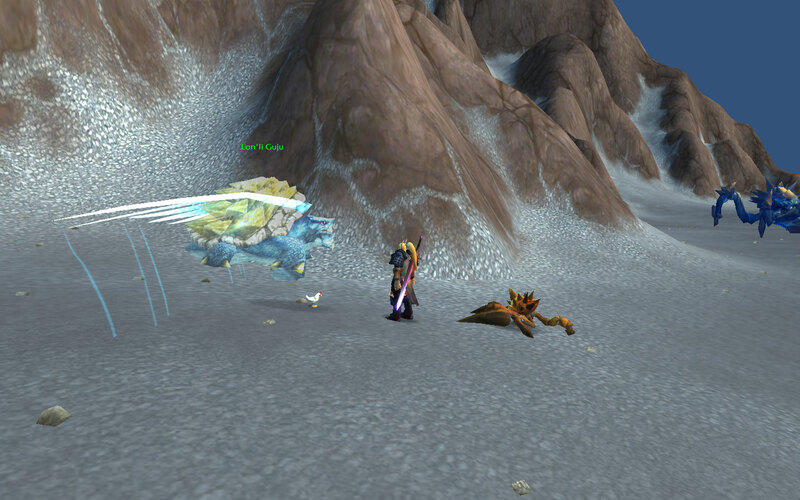 Whoa, a flying turtle! Green name and elite. 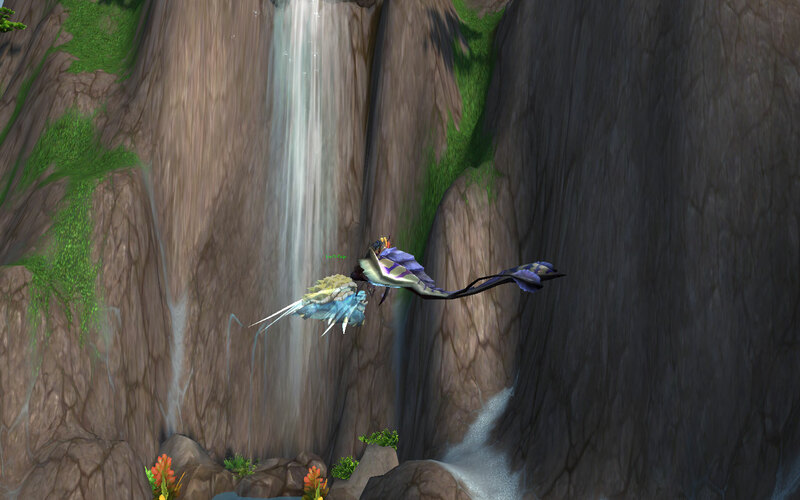 Hmm … I ran straight for Wowhead. Turns out he is a tribute to Lonesome George, who passed away this summer, and if you do an emote at him, he will follow you around for awhile. So he watched me get some crab meat for cooking. A couple of days later I was in the area again fishing up some octopuses, so of course I couldn’t resist giving him a hug. 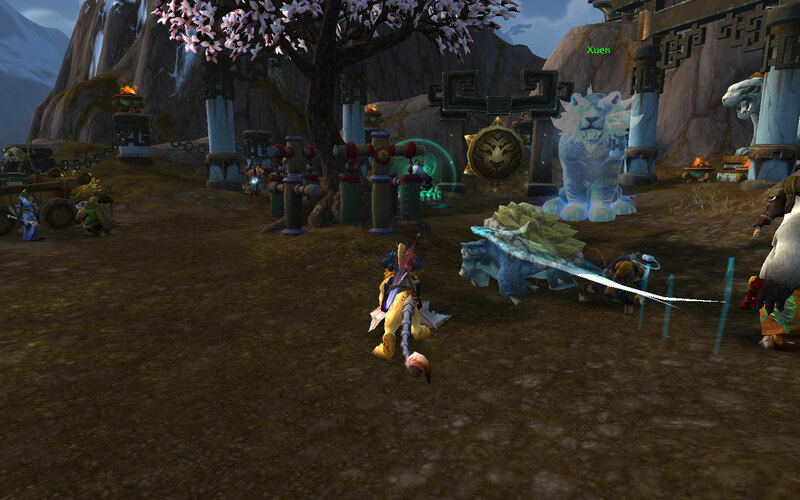 I didn’t wait around for him to follow me though, I flew away to get to my dailies at the Temple of the White Tiger. Ohai! I guess you want August Celestials rep too. Ok! Let’s go take care of this bully. That was as far as we got though. Someone had just beaten the first combatant in the tournament, so we had to wait for respawn, and he despawned during that time. Still … so very super cool. If you’re feeling lonely and want a buddy for awhile, head for the coast of Zouchin Province and find Guju. He’s just looking for some company. 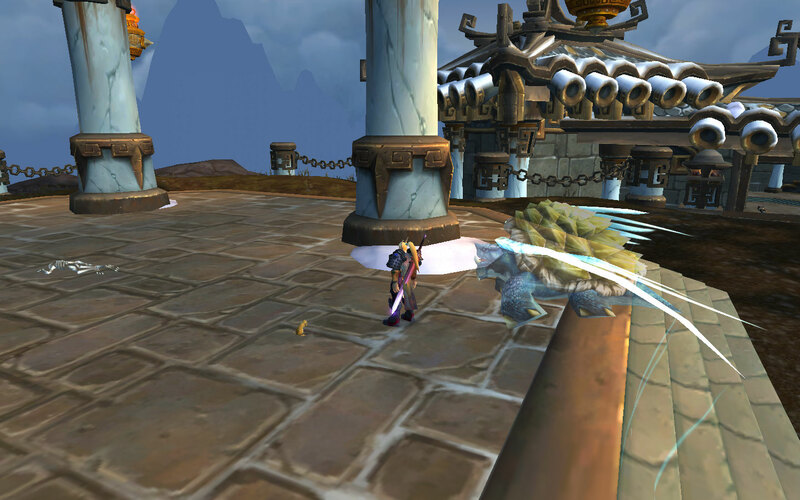 This entry was posted on November 21, 2012 at 10:13 am and is filed under Paladin, Screenshots, Vanicus/Vanethos. You can follow any responses to this entry through the RSS 2.0 feed. You can leave a response, or trackback from your own site. You should have taken him to see the Sha of Anger up close, lol. That’s cool 🙂 I have seen Lonesome George IRL, so I’ll have to put their pics together !